Minister Paschal Donohoe said any changes to the property tax regime should be ‘affordable’ for homeowners. ANY CHANGES TO the local property tax (LPT) system will be “moderate” and will only impact homeowners in 2020. Finance and Public Expenditure Minister Paschal Donohoe doubled down on his view that any overhaul of the regime should be “affordable” and there should be no surprises for householders. 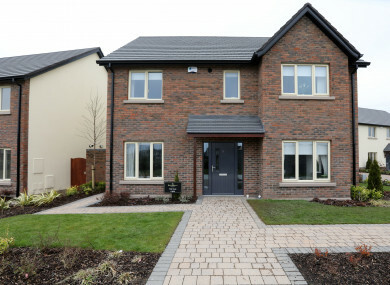 Earlier this year there was a lot of talk about the possible changes to Ireland’s property tax when Housing Minister Eoghan Murphy signalled he favours a new calculation of the tax. “When this issue developed early on in the year particularly when the bills for the LPT began to come into people’s’ homes in January, I said my view regarding the changes in property taxes is that any changes in the future should be moderate and affordable and well understood, and that continues to be my view. When I bring the local property tax review to conclusion later in the year, we will be outlining how we will do it,” Donohoe told reporters recently. Currently, property tax is based on the market value of a house, but due to the rapid increase in house prices, there have been concerns about the massive leap in tax homeowners will have to pay. In 2015, the LPT being paid by homeowners was frozen until 2019, meaning that people whose properties had increased in price or had been improved still only had to pay the same rate of tax that they have since the original LPT valuations in 2013. Next year another round of valuations are due, but because house prices have been constantly rising in the past several years, politicians are concerned that the LPT will rise dramatically in November 2019, when the valuation date of March 2013 is to be reviewed by the government. TDs in all parties are concerned about the hefty increases that could be imposed on householders as a result of a review of the tax, particularly due to the fact that any increase in the property tax will coincide with the local elections, meaning it will be a hot issue on the campaign trail for councillors around the country. High and rapidly increasing house prices have meant that Dublin homeowners in particular shoulder a high proportion of the local property tax bill. Donohoe said it is worth mentioning that the only thing that is changing next year is the valuations. “Peoples’ bills next year will reflect the current valuation so we are talking about changes that might take place in 2020 onwards, but they will be moderate, they will be affordable and they will be well understood by people well in advance of that,” he said. When asked was he ruling out increases in how much people would pay, Donohoe merely said that changes will be “affordable”. The committee concluded that any significant increases in property tax could be harmful, and recommended that there should be review of the rates nationally. Email “It's looking more likely that any changes to the property tax system will be 'moderate' ”. Feedback on “It's looking more likely that any changes to the property tax system will be 'moderate' ”.